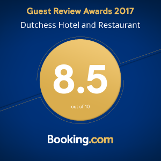 Dutchess Hotel is strategically located for many activities in the surroundings of Fort Portal. Most activities cover half a day to a full day. See our list below for more information, but also take a look at all the national parks that are within reach of Fort Portal. The activities around Fort Portal include walking and looking for monkeys at Bigodi or the crater lakes. Visit the small industry around Fort Portal, a tea plantation or a vanilla farm. For culture/history visit the local markets, tomb or caves. And if you are very active climb the foothills of the Rwenzori Mountains or cycle in the area. One of the nicest ways to see many monkeys is the swamp walk organised by Kafred in the town Bigodi. 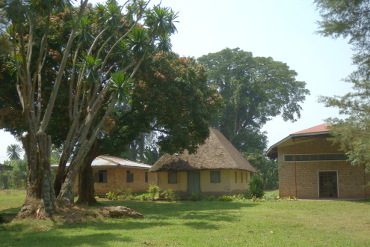 Kafred is a community project, that preserved an area outside of the Kibale Forest National Park where many monkeys live. The project also results in jobs for local guides and generates income for school projects. On the walk you will likely see several kinds of monkeys including black and white colobus, red colobus, mangabey, red tail, vervet, and L’Hoest. There are also chances of seeing a variety of bird live including the beautiful Great Blue Turaco. 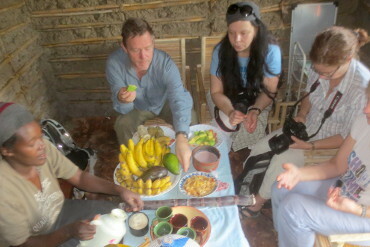 Bigodi is located 40 km from Fort Portal and close to the Kibale Forest national Park. The Kafred project where the walks start is sign posted on the Kamwenge road. It can be either reached by car or boda-boda (local motorcycle transport). The guided walk around the swamp takes approximately 3 hours. Would you like to have a walk and see a bit of everything? Simon, an excellent guide from Kyaninga community and conservation association, makes a scenic walk of three hours. You will see a twin crater lake and a bubbling source. While walking he will introduce to you some history of the landscape, village life and he is an excellent birder. If you would like to be introduced to the village, the woman from the association make an very good local meal and you can help them. If you want to see more of the village in the afternoon you can see what the farmers are growing and how people live. These crater lakes were formed rather recent in the light of ancient volcanic activity in Uganda – a mere 8 to 10,000 years ago – though you see them as serene, scenic lakes today. Explosion Craters did not build cones as Volcanoes do – they simply blew ash and rock far and wide – today there are these incredible beautiful lakes. Some offer great places for swimming, viewpoints and nature trails that one can hike surrounded by monkeys, tropical birds, and magnificent sights. There are many hikes possible, just take a map of the crater lakes and choose where to go. A nice day trip is a visit to Lake Nkuruba Campsite & Bandas. They have a short forest trail or you can take a hike from the lake to the Top of the World (a hill with 360⁰C view of the crater lake area). Small warning; Top of the World asks for an entrance fee. At the camp-site they can prepare a local lunch. If you want to stay overnight in their basic accommodation, you have to make reservations. 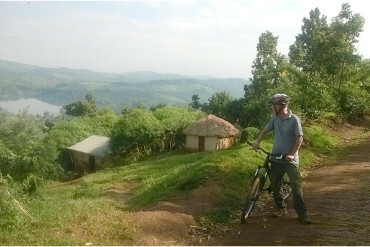 Explore the beautiful landscape around Kibale and the crater lakes by mountain bike. Get off the beaten track and experience local life close up. Cycle along single tracks through small villages and farms. 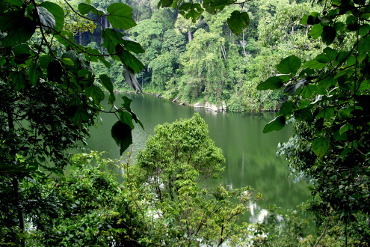 See the crater lakes and enjoy wonderful views of forest and the Rwenzori Mountains. Good quality hardtail mountain bikes (supplied with helmets and water bottles). A local guide is provided with the bike rental which can be for a half day or full day. Different routes are available, depending on your interests. Located near Isunga National Park Headquarters. 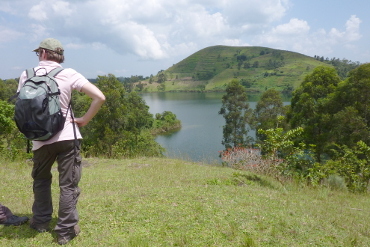 A nice excursion are the "Mabere ga Nyinamwiru" caves and "Lake Saka crater" walk. Small waterfalls are seen on the nature walk through the mythological caves. The legends of the caves are more impressive than the caves itself which holds many stalactites. Afterwards the guide can take you to the top of the Lake Saka crater, which has a beautiful view over the Fort Portal plateau and Rwenzori Mountains. The caves are 7 km from Fort Portal near Nyakasero school on bundibugyo road. You can reach by car, boda-boda or bicycle. The excursion takes half a day. 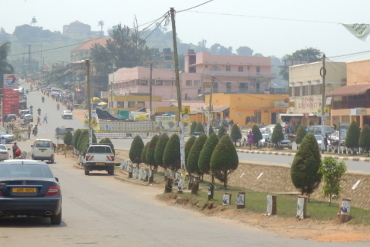 Would you like to have a guided tour trough Fort Portal Town. A local touroperator can take you for a 2 hour walk via the Post office, a school, a hospital and to the Palace. They will explain about the history of the town and if you are very lucky, you might enter the Palace of the King of Tooro. The Karambi Tombs are the burial grounds of Omukama Kasagama & Rukidi III. 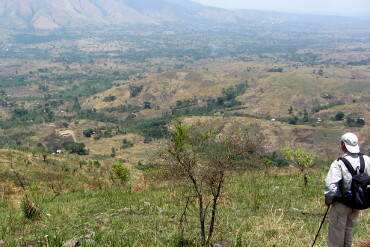 They are located 5 km out of the town on the Kasese Road. You can reach by car, boda-boda or bicycle. It is signposted on the road. The caretaker does not speak English but can probably arrange someone who does. If you would like to take a village walk of 3 to 4 hours including the Karambi Tombs we can arrange a local touroperator for you. The view on the tea fields are astonishing around Fort Portal. If you would like to see how tea is being processed from green tea leaves to bags of 50 kilo of tea, you can visit a local tea factory. 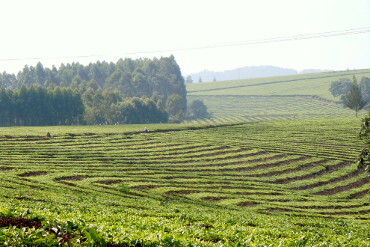 The tea plantation can only be visited by appointment. The costs depend on the tea factory which is available and if you have your own transport. 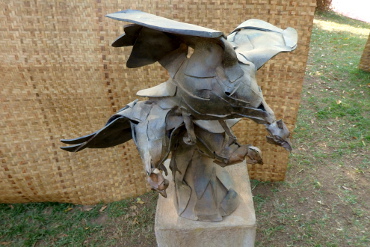 Do you like to see how bronze sculptures are being made or just like to visit a sculpture gallery? Rwenzori Art centre near Kasese offers all. Rwenzori Art Centre offers sculptors the opportunity to have their work cast into bronze in well-equipped studios and with skilled craftsmen on hand at every stage of the process. Visiting the gallery is for free, but a guided tour at the workshop is charged. Do you want to walk in the Rwenzori Mountains? Do you want to see how people are living in the hills? Do you want to enjoy the view over the rift valley and climb down the escarpment yourself? You do not want to miss the hot springs of Semuliki National Park? You also want to see crater lakes? ...you like hiking and a challenge? You cannot miss this. The hike is spread over two days, but also one day can be booked. On day one you walk from Lake Saka University through the crater area and down the escarpment of the Rift valley. The walk ends in Karagutu. On the second day the walk starts in Karagutu, where you climb up the foothills through small settlements to the top of the mountain. 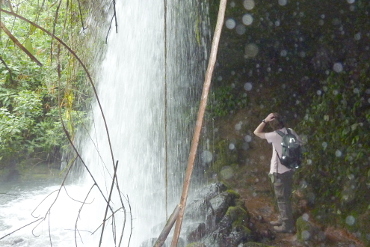 After a refreshing soda that is carried by local people to the little shops up the mountain, you will decent down the mountain to end the hike at the entrance of Semuliki National Park. 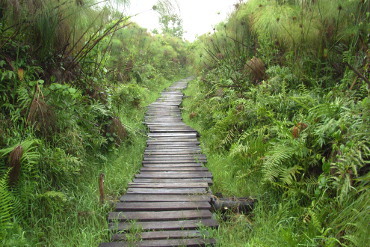 The walking trail to the hot springs in the park can be done at dusk or at dawn the following day after a stay at the UWA bandas. Every day it is possible to visit a local market in the area. The most famous one is on Wednesdays in Muguzu 12 km from Fort Portal on the way to Kasese. The market is the biggest in the region and has besides many shopping possibilities a beautiful view on the Rwenzori Mountains. 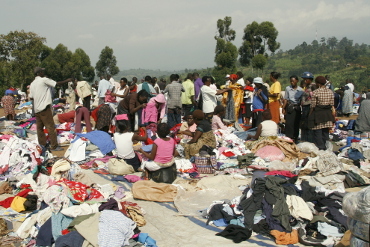 Visiting the market can be easily done by car or public transport, stop at Muguzu trading center and you find the market next to the main road. 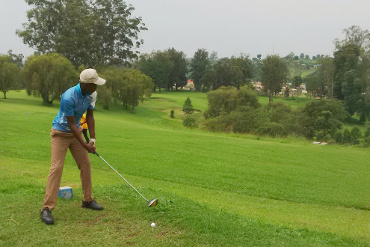 Enjoy the 9-hole parkland course situated on a hill overlooking Fort Portal town at the Toro golf club. With great views over the town and it’s challenging holes the course is a must for all golf enthusiasts. Clubs are available for hire and the caddies will tell you all you need to know about the course.